The National Defense Authorization Act has been passed and forwarded to the President. 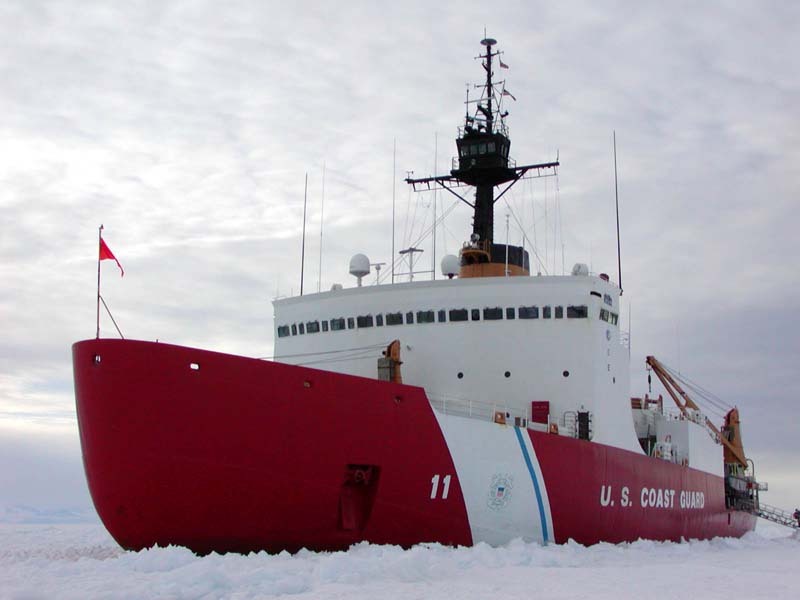 It is too early for anyone to get too excited about this, since it is an authorization rather than an approved budget, but it does authorize up to six polar icebreakers. SEC. 153. AUTHORITY TO PROCURE ADDITIONAL POLAR-CLASS ICEBREAKERS. Section 122 of the National Defense Authorization Act for Fiscal Year 2018 (Public Law 115–91) is amended— (1) in the section heading, by striking ‘‘ICE-BREAKER VESSEL’’ and inserting ‘‘AUTHORIZA-TION TO PROCURE UP TO SIX POLAR-CLASS ICEBREAKERS’’; (2) by striking subsections (a) and (b); (3) by inserting before subsection (c) the following new subsection: ‘‘(a) AUTHORITY TO PROCURE ICEBREAKERS.—The Secretary of the department in which the Coast Guard is operating may, in consultation with the Secretary of the Navy, enter into a contract or contracts for the procurement of up to six polar-class icebreakers, including— ‘‘(1) polar-class heavy icebreakers; and ‘‘(2) polar-class medium icebreakers.’’; (4) by redesignating subsections (c) and (d) as subsections (b) and (c), respectively; and (5) in paragraph (1) of subsection (b), as redesignated by paragraph (4) of this section, by striking ‘‘subsection (a)(1)’’ and inserting ‘‘subsection (a)’’. The bill also provides for a Selected Reserve end strength of 7000 Coast Guard Reservists, almost $40.9M for Coast Guard weapons, $40.7M for other Electronic support, $24.1M for Mobilization Support, $165M for Coast Guard mobilization support (presumably PATFORSWA?). There may actually be more that I may have missed. The bill is huge. I just used the “Control F” function to search for Coast Guard. Thanks to the Bryant’s Maritime Consulting Blog for bringing this to my attention. This entry was posted in Budget, icebreaker, PATFORSWA by Chuck Hill. Bookmark the permalink. Awesome. Any thoughts on a twelfth NSC? If it happens, will probably be FY2020. Like I said, too early to get excited. This is an authorization, not a budget. It does seem to point to an intent, and it may provide an additional funding source, in that there may be more icebreaker funding in the Navy budget. We should know pretty soon if there will be an icebreaker in the 2019 budget. Probably neither. The Healy was paid for by the Navy. What may be happening is that Icebreaker supporters are taking the money out of the hands of DHS so that they cannot redirect it to the wall. We just have to wait and see. Pass the popcorn.